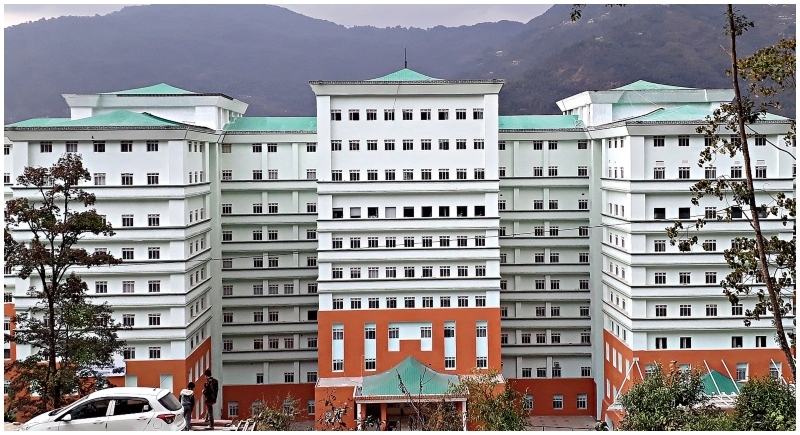 Gangtok, January 19: Taking a giant leap in the sphere of healthcare facilities, the state of Sikkim got the country’s second biggest government hospital with a capacity of 1,002-beds at Sochaygang. Asserting to be the second biggest, CM Pawan Chamling said that after AIIMS, this is the biggest government hospital in the country and our government has created history. Built on 15 acres of land with an estimated overall cost of Rs 1,281 crore, Chief Minister Pawan Chamling inaugurated the New Sir Thutob Namgyal Memorial Multi-Speciality Hospital and claimed it was the second biggest healthcare facility in the country after the All India Institute of Medical Sciences (AIIMS) in New Delhi. The hospital is equipped with highly-sophisticated equipment, including MRI, CT scanners, orthopantomogram machine and Doppler fetal monitor, among others. The chief minister said the hospital would provide free treatment to the residents of the state. The complex also has a 119-bed Yatri Niwas with a restaurant for attendants of patients where Sikkim residents will be given free accommodation and food. He further stated that the hospital will provide free treatment to the residents of the state and will also help its neighbouring regions, including Darjeeling, north Bengal and the Northeast.